Christmas Cracker of a Craft! 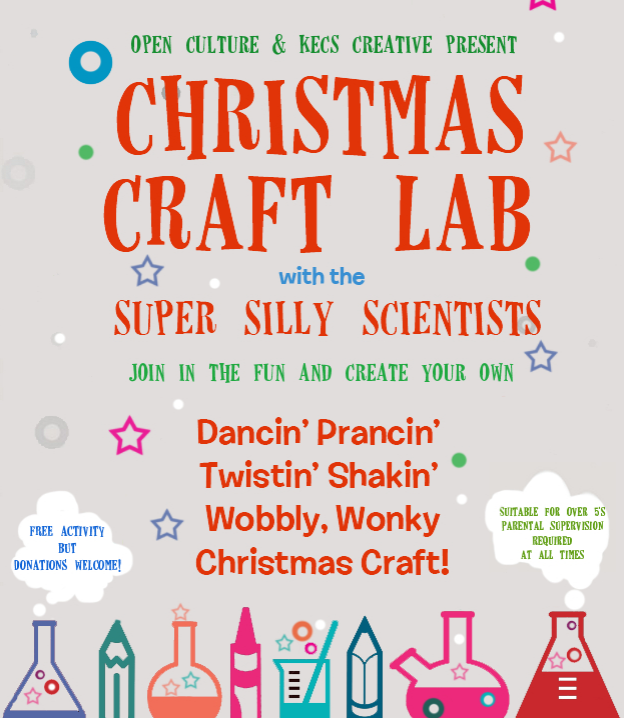 Come along and create a cool Christmassy character of your choice, and using the power of kinetic connections these super-silly scientists will show you how to make it shake, dance and boogie ’til the sun goes down. Why? Because ART + SCIENCE = FUN! !